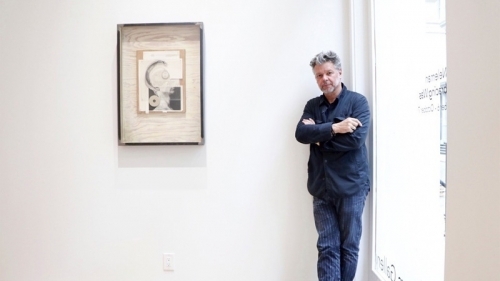 Alumnus Hans Neleman presents a collection, entitled ‘Is Embracing Was’, of recent mixed media assemblages including both steel-framed ‘portraits’ and ‘abstractions’. Neleman’s distinctive works inhabit the space between abstraction and representation. The playful yet dark ‘portraits’ pull together found objects and fragmented images while the ‘abstractions’ are composed using raw paper and fabric, cut, torn and reconnected with metal, canvas and wood.